Former Goldman Sachs partner and bitcoin enthusiast Mike Novogratz has increased his stake in Galaxy Digital Holdings Ltd. to nearly 80 percent, Bloomberg reported. Novogratz is the founder and CEO of Galaxy Digital, a New York-based merchant bank dedicated to the digital assets and blockchain technology industry. In a statement this week, he said that he has acquired 7.5 million ordinary shares of the company for C$7.42 million ($5.5 million), representing around 2.7 percent of issued and outstanding ordinary shares. 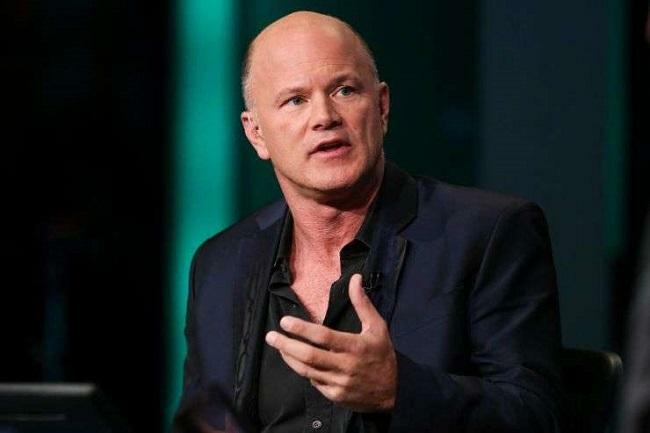 According to the details, Novogratz previously beneficially owned 213.7 million Class B limited partnership units, which represented about 76.6% of ordinary shares assuming conversion. After the purchase, he owns and controls 221.2 million ordinary shares, representing around 79.3% of ordinary shares assuming conversion. Galaxy Digital currently operates four distinct business lines, which include: Trading, Asset Management, Principal Investments and Advisory Services. The company started trading on the Toronto Stock Exchange on August 01, 2018. In October, Galaxy Digital announced that its shares have been accepted for trading on the Frankfurt Stock Exchange. In a press release dated December 11, the company reported preliminary assets under management of $422.8 million as of November 30, 2018, inclusive of committed capital in a closed-end vehicle.